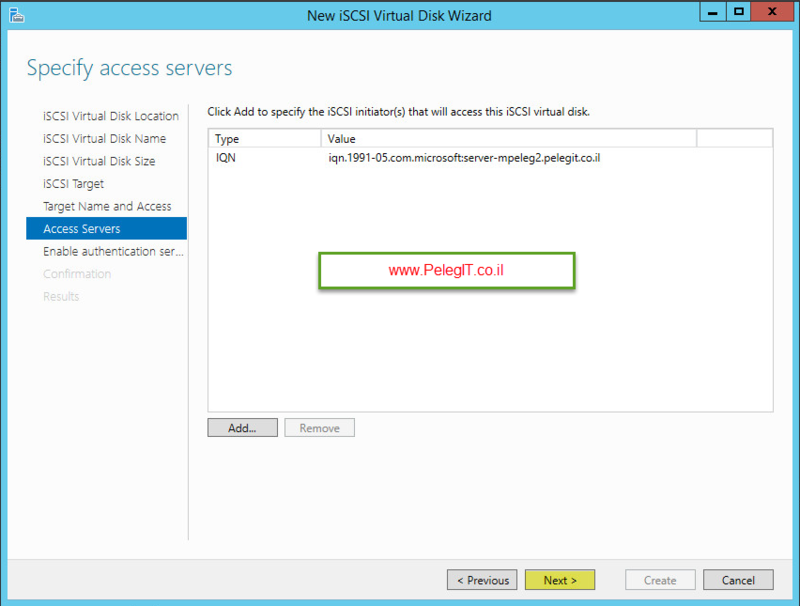 In this article, I am going to show you how to create Disk Virtual, (LUN) for a Windows machine and then I’ll connect it using ISCSI initiator. Microsoft is not one of the popular storage providers at all in the storage world. But they pretend to be and I also think in Windows Server 2016 they will improve it more, in addition as you know about NETAPP, EMC, and other popular storage isn’t bad to introduce the Microsoft File and storage service as well. This solution could be a good option for a small organization that doesn’t have enough money to purchase a storage array or something like that. There is no doubt, this service is still so far rather than EMC or Netapp capabilities, but again for small companies, it could be useful and efficient, For example, if you need to install SQL server with Failover Cluster service and the SQL’s fail-over cluster requires “Shared Storage“. or make use of File Server for you users. what should you do? File and Storage Service is the solution! After we finished installing the Roles just to clarify, you have storage management, you can create LUN, SHARES, VOLUME exactly like other storage capabilities. Sometimes it is enough then clicked on refresh and the VS will be appearing there.